This year we have been SO blessed to be introduced to so many different programs I was never aware of before getting them for review. Northwest Treasures is one of those amazing programs that I am so glad we got to review, because it has been such a blessing for us. 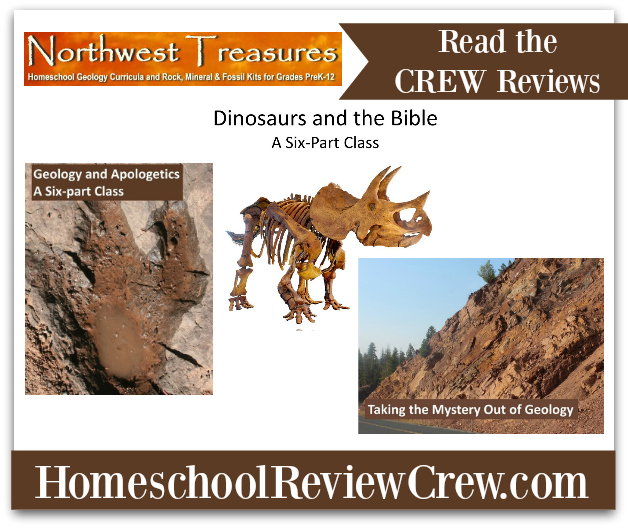 For this review, we received 6 month's access to Geology and Apologetics. This is an online "rental" where you have access to the lessons over the course of the rental period. Geology and Apologetics is their BRAND NEW course! It was just out in March, so we are some of the first to use it! Isn't that SUPER exciting?! What is Geology and Apologetics? Lesson 3: The Genealogies and Chronologies of Genesis. Are They Accurate and Reliable? 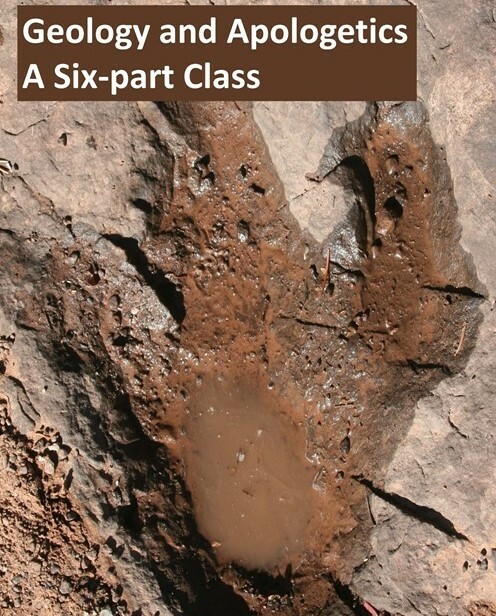 Lesson 4: Evolutionary Gaps in the Fossil Record, How Serious Are They? Mr. B had a bit of difficulty sitting through the duration of the videos. That coupled with some significant internet issues that caused buffering and streaming issues, we had to move more slowly than I would have liked. Thankfully, the internet issue was with the modem (there was a recall, actually) so our connection is much better! But Mr. B still has a bit of difficulty maintaining his overall attention. I, on the other hand thoroughly enjoyed watching the lessons on my own at night. Mr. Nurre narrates and speaks throughout the lessons, and there are a lot of photos. Mr. B is more action driven. He prefers on site type videos, and less lecture style videos, so that's why he needs to take breaks here and there to sit and absorb what he's just heard. He says he likes the course very much, but he does need a few breaks. One of my favorite lessons is Lesson 2. This is something I have been saying for YEARS! I once took a class called Sociology of Science and Technology. Now, I thought this was a course about computer chips or something lol. But it wasn't. This class was basically a high level, 15-week debate between esoteric philosophies and "hard" science. As Lesson 2 goes on to say, which is what I have said a bajillion times, Science and Philosophy are two DIFFERENT things. It's not about Science facts vs. Myth-believing Christians. This false belief must be understood and tackled...and we can "all get along." Science is what can be seen...and experienced through our senses. It can be seen, tested, and most importantly it MUST be repeated with the SAME results. The lesson uses the Big Bang as an example. The Origin of the Universe and life is all theory....philosophy. It is not science. It wasn't observed, it wasn't tested and measured. It's has never been repeated with the same results. The origin of the earth is not a science thing...it's a philosophy thing. I love this! I love how it explains this in a way that I truly get. Mr. B has studied a lot in Genesis, especially the Great Flood. And by a lot, I mean A LOT. He's really studied a lot about New Earth vs. Old Earth beliefs, and Lesson 3 covers these questions. He really appreciated and enjoyed Lesson 3. He frequently paused the video to interject his own commentary, whether he agreed/disagreed and why. He especially liked the chart depicting the life span between Adam and Noah's sons. He has this same chart from several different sources, so he understands the importance of this chart and how essential it is to the story of creationism, and time dating. Mr. B really enjoys the suggested activities following the lesson videos. This is one he really enjoyed. I don't have a photo of his chart because...well..it was messy, that's why. He wrote it, and drew some pictures, and it wasn't really blog picture style, and he refused to redo it. But he made a tree, with branches...life a family tree...and made a chart that way. We've slowly made our way to Lesson 5. He's been studying zoology and Dinosaurs, so this is very fitting for us right now. This lesson discusses evolution, and let me tell you what...Mr. B can get on a rant REAL fast over this lesson HAHA He will go on and on about how the fossils don't line up, etc. Overall, we both have really enjoyed using this 6 lesson course. It goes a long way to giving you tools needed to defend your faith in the face of secular science beliefs, and it shows how science and faith can go hand in hand. Mr. B has enjoyed it, even if he does need a few breaks here and there, and the discussion questions at the end are really great and thought provoking. I'm very thankful to have been a part of this review! One day, if we are blessed enough, we would LOVE to go on a Yellowstone Creation Adventure trip or Dino Dig! Wouldn't that be amazing?! Yellowstone is one area we studied last year, and we would both love to visit sometime. They also offer more learning fun for National Parks, Monuments and Historic Trails. Maybe one day...right?! Please be sure to check out the Homeschool Review Crew for more reviews!